Everybody wishes to look good. For this thing, it is important to be smart according to one’s height. Losing weight though is a tough job but not impossible. One needs to be consistent and ambitious in weight loss if obese. There are various losing weight methods. Some are easy but some are tough. Decrease Calorie Intake: Carbohydrates and fats must be excluded from the food. Proteins, vitamins, and minerals should be added to the diet. More of the bulk food items such as vegetables, fruits, and salad which serve to satisfy hunger is to be advised. Increase physical activity: A minimum amount of physical activity is essential for the normal functioning of the appetite center. A sedentary person usually tends to take more calories than required. Exercise develops musculature and this tends to increase metabolic activity at rest, thus the body loses calories and the body mass. 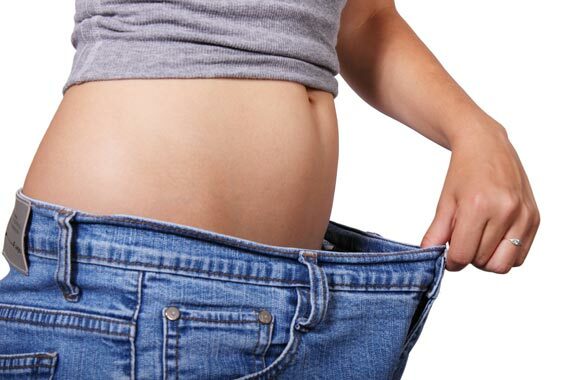 Weight losing supplements: Many supplements have been developed that acts on appetite center and decrease the appetite. But some of them may have different side effects. Thyroid hormone: It stimulates the metabolic activity and reduces weight. Surgical Procedures. These have been evolved to decrease food intake or to decrease digestion and absorption e.g. Gastroplasty: A small upper remnant is connected to a large lower gastric pouch by a narrow channel of 1.5 cm. This results in a delay of gastric emptying and produces a sensation of gastric fullness with a small meal. Gastric Bypass: Gastrojejunostomy is performed and lower almost 90% of the stomach is bypassed. It acts in the same way as gastroplasty. Jejunoileal Shunt: The proximal jejunum of about 38 cm is anastomosed to 10 cm of terminal ileum. Liposuction: A procedure to remove fats from many different parts of the body by sucking them with pressure. It is most commonly performed these days. These are some un-natural methods to reduce weight. Now we will discuss how someone can reduce his weight naturally. 10 natural ways to lose weight. Eat in moderate amount. Stop eating fat riches foods. Slowly decrease the amount of food you eat. Drink lots of water. Avoid those foods having high calories and zero nutrition like alcohol and other drinks. Instead, drink carrot juice daily or lime juice. Start a day by drinking lime juice. Increase the use of green leafy vegetables and fruits. Dairy products such as butter, cheese, cream and other milk made foods should be avoided. Some spices like cinnamon, dry ginger, black pepper are helpful in losing weight. Green mint is a good remedy in reducing weight plus the mint tea also helps in it. Bitter gourd and bitter variety of drumstick are very good in weight reduction. Too much intake of salt would be avoided since it attracts water and increases body weight. Carbohydrate-containing food such as potato and rice should be avoided and cereals should be preferred. Honey is a great natural remedy as it mobilizes extra fats and enables them to be utilized as energy for various normal functions.